Journals may seem overly sentimental to some people. But the greatest thinkers in history knew the value of writing down their innermost thoughts: Leonardo da Vinci, George Washington, Lewis Carroll, and even our national hero, Jose Rizal. Journals don’t just help us keep track of our thoughts and experiences though. 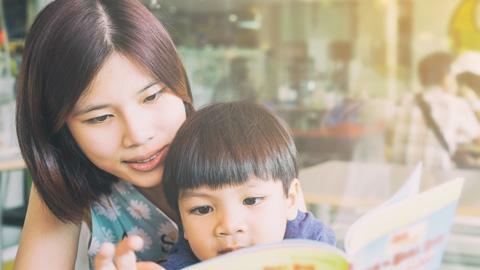 As learning tools, they provide valuable mental exercise and allow your child’s brain to organize ideas, contextualize abstract concepts, and document observations. They also train her to express herself clearly and creatively, while exercising her handwriting skills. Plus it’s one of the easiest hobbies to take up. STEP 1: Give your child a notebook to personalize. Get a nice notebook your child can easily personalize. Maybe it’s blank for her to doodle in or ruled to guide her as she writes. Maybe it has a sturdy cover or several dividers inside to decorate. But whatever form it may come in, tell your child she can change everything about this ordinary notebook and make it reflect her personality. After all, this will be the ultimate record book of her experiences, opinions, and secrets. STEP 2: Let your child introduce herself. Keeping a journal is really no different from storytelling. Every person has a story to tell, and it's up to your budding wordsmith to narrate hers in the best way she knows how. As a suggestion, her first entry can give a short background on who she is, describing her family and her favorites. She can even trace her origins by doodling a family tree. STEP 3: Help your child continue writing. Writing a new entry each day may eventually become tedious, so your child may look for exciting topics to write about then. One triedandtested trick seasoned professionals use is the journal jar. It's a container filled with all sorts of thought-starters written on slips of paper: hobbies, favorite food, pets, field trips, odd facts, future plans, and more. All your child has to do is grab a piece of paper from the jar randomly and challenge herself to write about it. Hopefully, your little writer will maintain her journal over time. It would be something to look back on when she’s older. But if she doesn’t, don’t worry. At the very least, she’ll be able to improve her communication skills for future writing projects. More importantly, the act of reflecting will make her more introspective, outspoken, and open-minded – qualities that will help her in the long run.